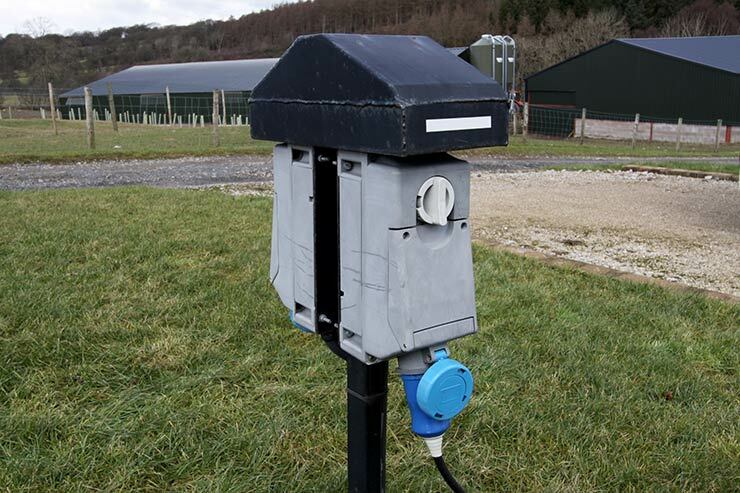 Take junction 41 of M6 motorway, follow the B5305 toward Wigton. Just beyond Sebergham, turn left on B5299 towards Caldbeck. In the village, head towards Hesket Newmarket. We are 0.25 miles along here on the left, down a long driveway. 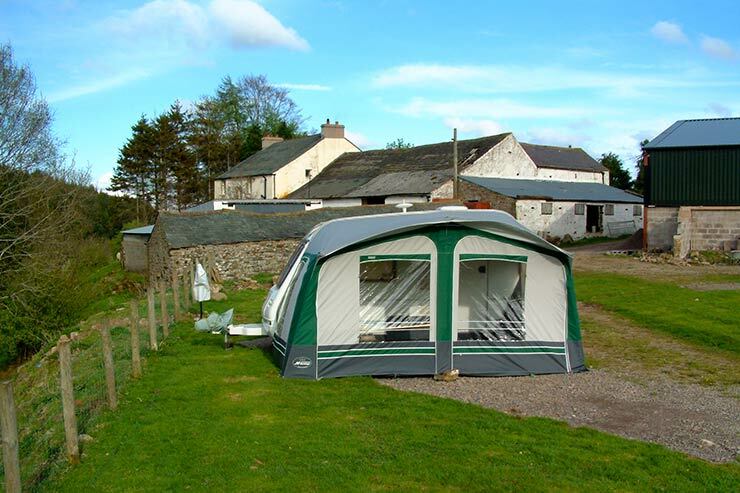 Throstle Hall is a small, quiet farm caravan park situated just south Caldbeck village in the quieter Northern Fells area of the Lake District, with a riverside location close to Cald Beck. 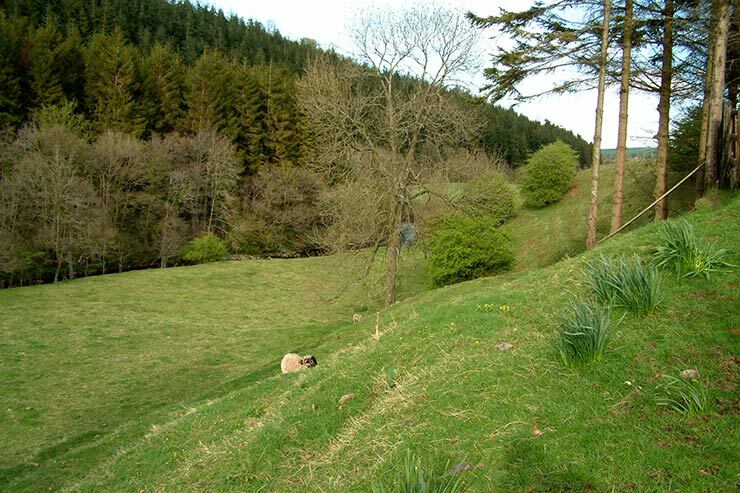 The site provides an excellent base for fell walking, mountain biking and horse riding. 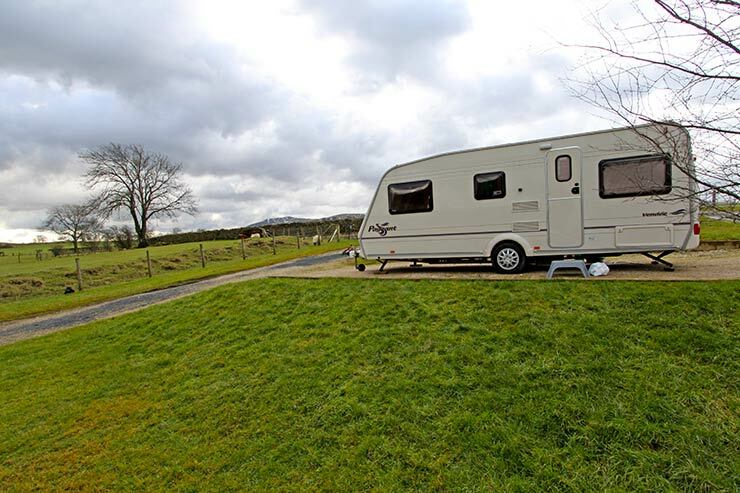 Overlooked by High Pike and Carrock and with stunning views towards the Caldbeck Fells, this site is a wonderful location for exploring this beautiful area of the Lake District. 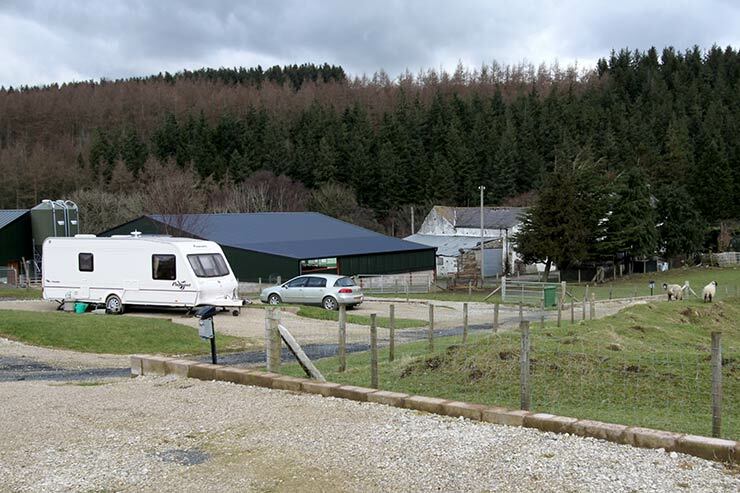 We have a working farm with a site with room for 5 touring caravans or motorhomes. 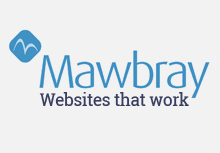 Campers on the Cumbria Way can also use our site but please contact us for details. 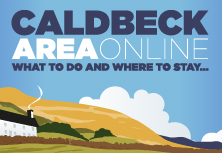 Several excellent eating places are located in both Caldbeck and Hesket Newmarket - both villages within walking distance. 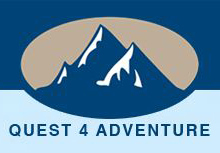 We are ideally situated for exploring Carrock Fell, High Pike and the Northern Fells of the Lake District. We are also close to the C2C cycle route and the Cumbria Way. Skiddaw and Blencathra are within striking range from here, as well as the well known tourist areas of Keswick and Bassenthwaite. Ullswater is easily accessed from here and offers all manor of watersports including sailing, windsurfing, canoeing, swimming, and rowing. There's also a regular launch service between Pooley Bridge, Howtown and Glenridding. The historic border city of Carlisle, as well as the Eden Valley and Hadrian's Wall are all a short drive away. 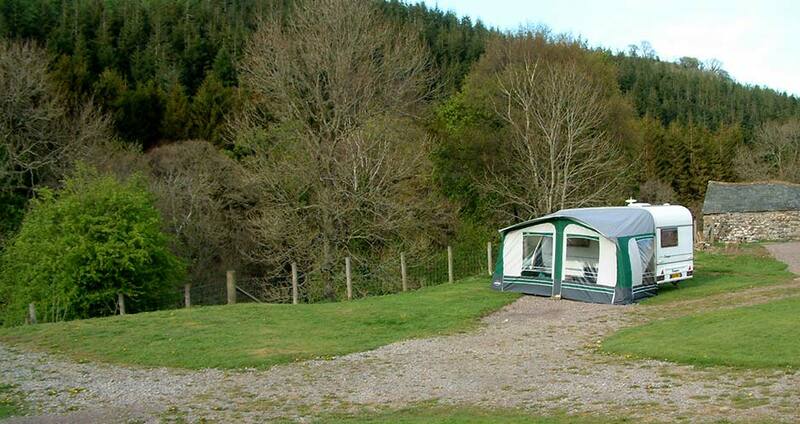 £15 per caravan or motorhome plus 50p per awning per night. Caravan Club Members only. 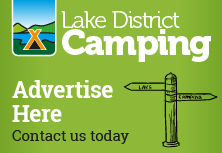 Campers on the Cumbria Way - £6.50 per person per night including use of shower. No. But during high season, arrive early to secure a pitch or phone ahead for information. 20 - Families, singles, groups. Max. 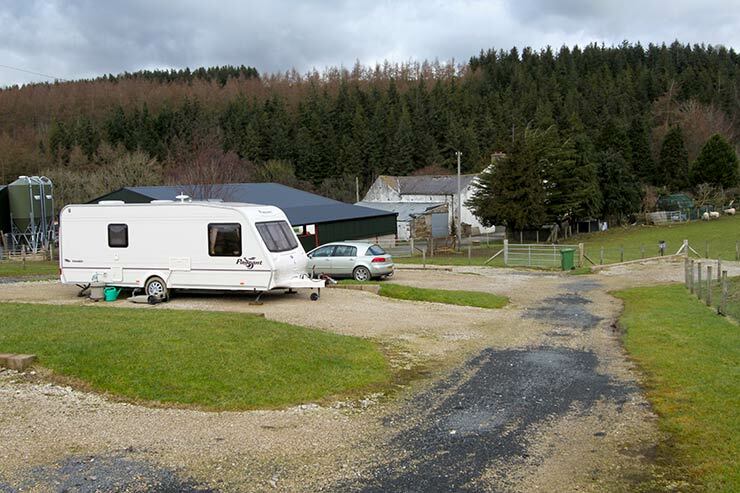 5 caravans / camper vans / tents. Yes. In Caldbeck village - 0.5 miles. Pub food, real ale, pool table, breakfasts available. 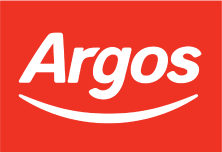 Cafe / restaurant - snacks, lunches, dinner evenings, take away. Old Crown, Hesket Newmarket (1.5 miles) - Has its own brewery and serves local real ales. CAMRA recognised. Good home cooked food. Cumbria Way to Sebergham and beyond.